Is there a price to pay for summarily killing a man, or is it just what happens in Ferguson when one man has a badge and the other too much melanin? In 2014, racism is more sophisticated but no less deadly. 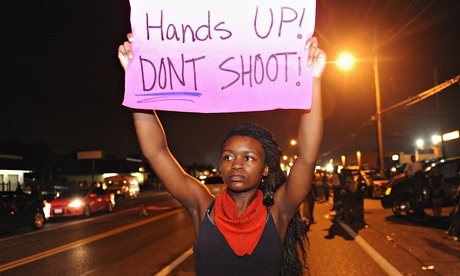 The grand jury investigating the killing of Michael Brown is taking its time. Brown, 18, was unarmed when he was fatally shot by police officer Darren Wilson in the St Louis suburb of Ferguson, Missouri, in August. Wilson has been suspended on full pay and has not been charged. The four-month period that a panel usually convenes for expired last month. The judge gave the grand jury 60 more days to make a decision, so it has until January 7 to decide whether to indict Wilson. That’s a lot of pop. Organisers of demonstrations in Ferguson, Missouri, promised to intensify their protests over the killing of Michael Brown if the officer who shot him does not face criminal charges, warning police that they are prepared to die on the streets for their cause. 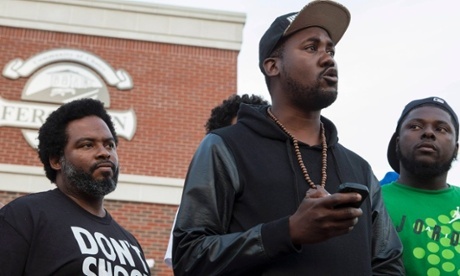 Three prominent members of theprotest movement that sprung up after the deadly police shooting of Brown, an unarmed 18-year-old, told a rally in New York on Tuesday night that there would be a fierce backlash if a grand jury declined to indict officer Darren Wilson.